The washing machine forums containing thousands of questions and answers built up over many years at Washerhelp are still here. All my washing machine articles have been updated and moved to my new site. 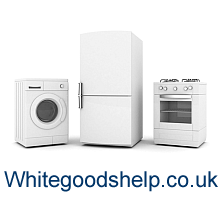 I’ve moved all washing machine articles to my new site Whitegoodshelp so that I could also write about other white goods appliances. The only forum open to new washing machine repair questions. I will try to answer when I can. Hopefully users can help each other too. Discuss general washing machine topics or ask general washing machine related questions – but NOT repair questions..
Read washing machine reviews by myself. Add your own reviews and read reviews by other members. Discuss Energy usage, water usage, and the environmental impact of throwaway washing machines.